Click on the logo above for the rules of Science Fiction and Fantasy Saturday, and for this week’s participants. Well, I spent the day yesterday flying as far north as I could get in one day. Nothing but sea ice, and since it was (for a change) a clear day, I was able to hop from latitude to latitude as long as I could see there was no high ground. By the time I tired, I had confirmed floating ice reached to the pole. This shallow sea north and south of the strait seems to be an ideal habitat. Their tusks, when I found a skeleton, seem remarkably similar to elephant ivory. I wonder if it can also be carved and worked into ornaments? Jarn is a human-like alien who was stranded in Africa some 125,000 years ago when his experimental starship crashed. He has made contact with our remote ancestors, and is currently trying to determine why (and if) our planet has ice caps. His Journal to date is at my author website. This entry was posted in SFFSaturday and tagged Jarn's Journal, Walrus. Bookmark the permalink. It hadn’t occurred to me that walrus tusk was ivory that could be carved – having done a brief Google search, I have corrected that omission to my education. Once again I learn something from Jarn! 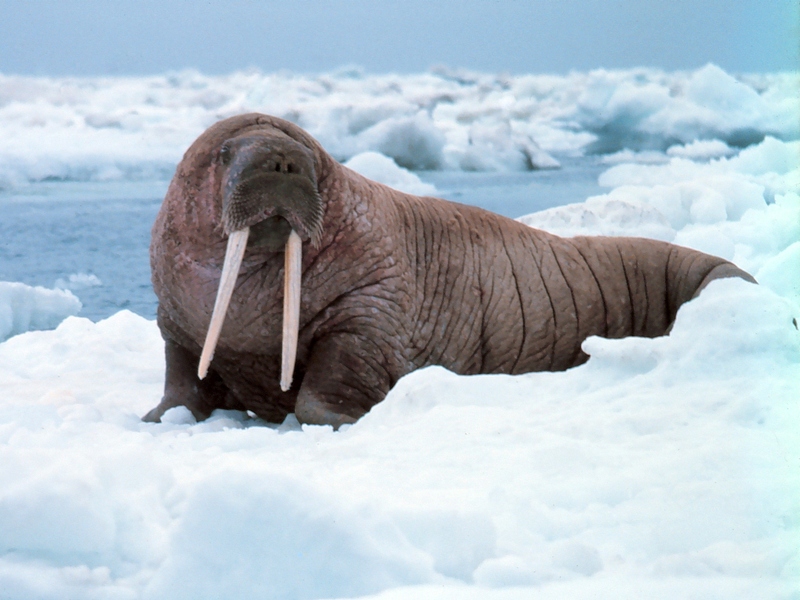 Walrus ivory is probably second only to elephant ivory in artistic use. Are there any human inhabitants? Very interesting – especially the observation about walrus tusks. I too learned something new today. I’ll have to include some photos of mine.